Knopf recently released a board book version of Il Sung Na‘s The Book of Sleep. 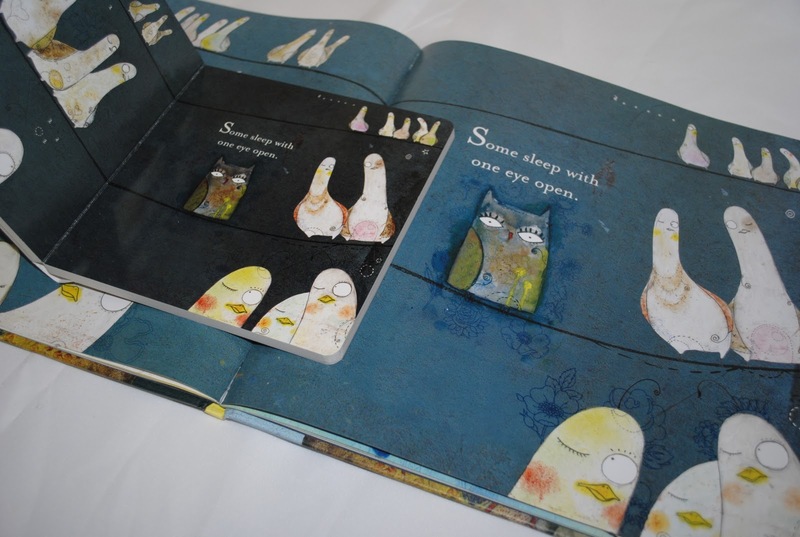 In the original edition, a playful and spare text accompanies sweet illustrations that, upon closer look, contain a multitude of textural and illustrative details (including the protagonist owl as a search-and-find character on spreads where another character takes center stage). 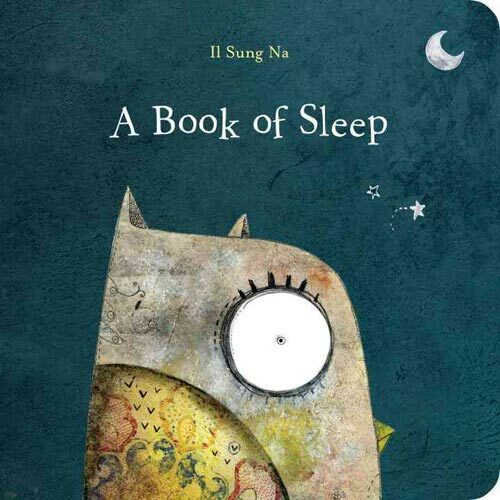 An engrossing and calm nighttime read, The Book of Sleep can withstand many re-readings. The board book adaptation is a somewhat different story. Because the original encourages many readings, the concept of translating this book into sturdy board format seems a good one. The book suffers no abridgment in its new form and remains its whole, satisfying self. What does suffer in the new format is Na’s multimedia mastery and tiny details in the illustrations. Compared to the picture book’s 10″ x 10″ trim size, the 6″ x 6″ size of the new board book significantly reduces the images and, accordingly, their detail. While you might think that the glossy paper-over-board should make the details pop more than does the matte paper of the original, all of the art is instead much darker, forcing a loss of richness in both texture and depth. A lap-sized edition would have been a better choice, allowing parent and child to share the book for bedtime read-alouds. It’s difficult to imagine the toddler who needs a copy of The Book of Sleep durable enough for repeated solitary readings, especially when the tiny details that Na renders so beautifully are nearly invisible.